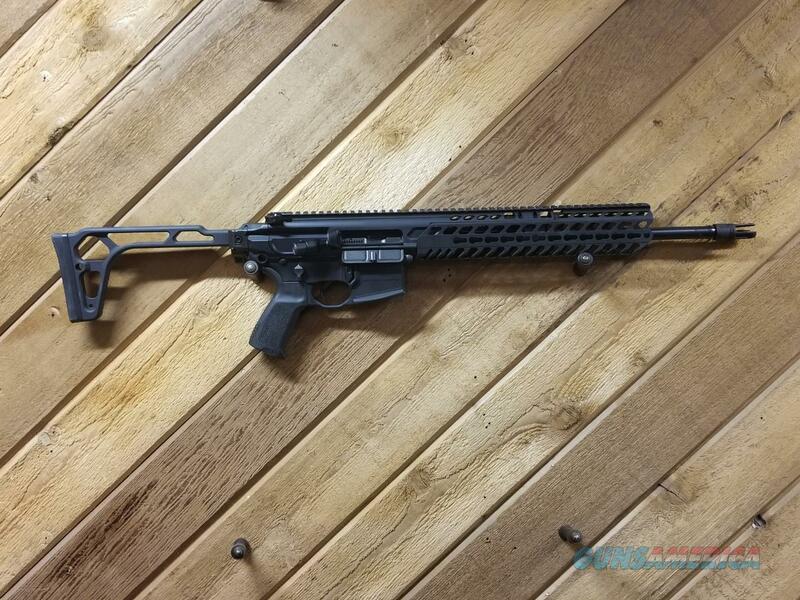 Description: Up for sale is a near new condition Sig Sauer MCX chambered for 300 blackout, it comes with the factory box and one magazine. The gun appears to have been fired very little. There is a tiny amount of brass transfer on the case deflector but no signs of actually wear. To give you an idea of the guns history, it was purchased from us (new) on May 24th and traded in to us on June 21 toward a MCX Virtus. If you have any questions or would like additional pictures please feel free to email us or call the store during business hours.